Performers include: Jason Jones, Natalie Zea, Ashley Gerasimovich, and Jared Liam Carroll. This family comedy is inspired by the family trip experiences of creators Jason Jones and Samantha Bee. 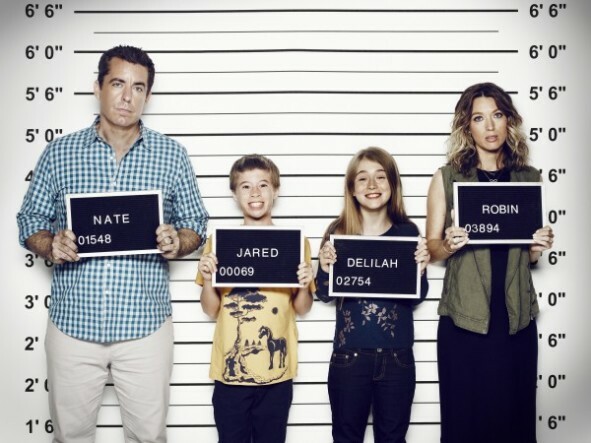 Nate (Jones) hits the road with his wife Robin (Natalie Zea) and their young kids Delilah (Ashley Gerasimovich) and Jared (Liam Carroll). They’re headed from Syracuse to Ft. Lauderdale in a janky mini van instead of flying. Between truckers, aggressive drivers and road side breakfast spots, nothing is really what it seems on the road. Every leg of their trip is fraught with disaster as they encounter one hellish turn after another. If there’s trouble on the road, this family will find it and plow into it. What do you think? Do you like The Detour TV show? Do you think it should be cancelled or renewed for another season? This show is the funniest show on TV. Not sure why it does not get more attention than it does.